As most of you know, Samurai Cop is a much beloved and revered flick here at Second Class Cinema. We covered it in one of our earliest episodes over a year ago, and just recently we viewed and discussed the much-anticipated sequel, Samurai Cop II: Deadly Vengeance. Deadly Vengeance was total shlock-madness that left us with a ton of questions. So I guess we were pretty lucky that Samurai Cop himself, Mathew Karedas, offered to chat with us and answer our many questions about this crazy piece of cinema. Matt took us on a complete tour of making this movie- discussing everything from how he came to be Samurai Cop in Amir Shirvan’s original picture, to rising from the dead, to what it was like working with Tommy Wiseau. His hilarious anecdotes on the funding/filming/release (and beyond) has given us so much insight into the blood, sweat and pure insanity that made this movie possible. It was truly a pleasure doing this interview and we can’t thank Matt enough for chatting with us at length about his awesome role in B-movie history. Check out our review of Samurai Cop! 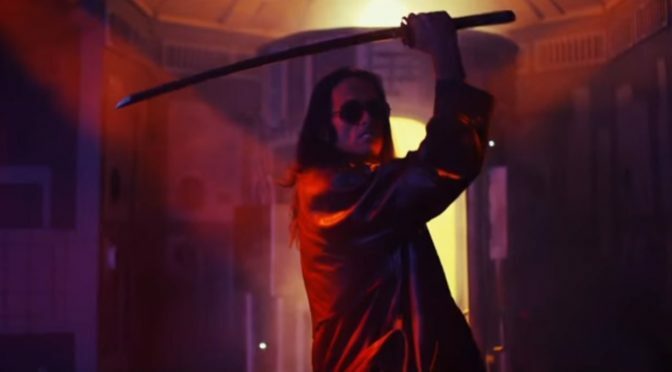 Check out our review of Samurai Cop 2: Deadly Vengeance! Check out all of our super extra fancy Samurai Cop GIFs!